An arrest has been made in the murder investigation of a 49-year-old Elsa resident. 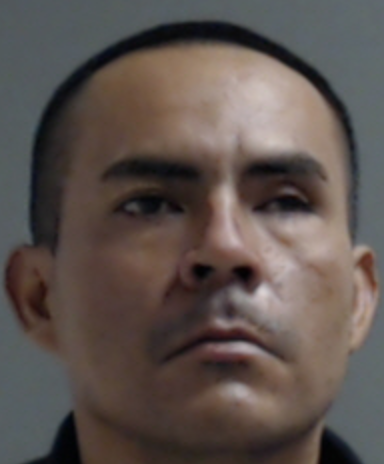 Jose Roberto Dominguez, 34, was charged Friday with capital murder in the Sept. 8 killing of 49-year-old Sandra Beltran, according to a news release from the Texas Department of Public Safety. The arrest comes a week after Beltran was found dead at her apartment on Ciro Caceres Avenue near Mario Leal Drive in Elsa. Beltran was a longtime resident of Elsa having graduated from Edcouch-Elsa High School in 1986. She was buried at Val Verde Memorial Gardens cemetery in Donna on Friday. The Elsa Police Department and Texas Rangers closed in on her home as well as a canal to the north during the investigation. In 2002, Dominguez was convicted of possession of a controlled substance with intent to distribute, a state jail felony, and served a deferred sentence of five years probation. Most recently, in 2014, Dominguez pleaded guilty to a felony drug charge for the manufacture/delivery of a controlled substance, for which he received no jail time. He was placed on 10 years probation for the charge. Dominguez was still on probation for the 2014 charge when he was jailed again on a warrant earlier this week, according to public court records. Texas Rangers served the warrant for Dominguez who remains in the Hidalgo County jail, according to the news release.